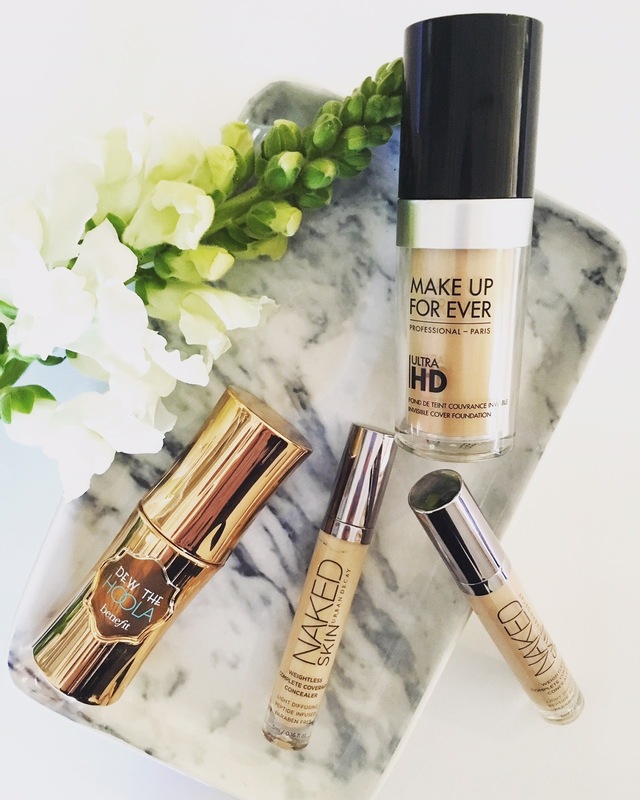 Make Up Forever Ultra HD Foundation with my other holy-grail-flawless-skin saviours at the moment: Urban Decay Naked Concealer and Benefit Dew The Hoola for contouring and warming up the skin tone. I got the shade Y255 - Marble which has a yellow undertone to it, just the way I like it - the shade offering here is pretty insane (around 40 shades). I don't think I've actually had a foundation shade match this good before! The actual fluid of the foundation is super liquid-like which makes you feel like you may need more than you actually do - I would say one pump for medium/light coverage and two pumps for medium/fuller coverage. It's also build-able if you want more coverage. I have been applying this with my hands initially and then smoothing out with my beauty blender, although it really doesn''t call for further blending - this stuff is seriously easy to work with and leaves no streaks and doesn't get stuck in any fine lines or dry patches. I can't quite put into words how this foundation looks on the skin but it is literally undetectable. I would even go as far as saying it's less detectable than loads of tinted moisturisers/BB creams I've tried (but with more coverage). The finish here is satin-like with a touch of glow. I guess if you are super oily this might be too glowey for you, although I may be wrong on that one. For my drier skin, it's heavenly. The original idea behind this product was a foundation that was made to be used on skins that were being photographed or on TV/film. 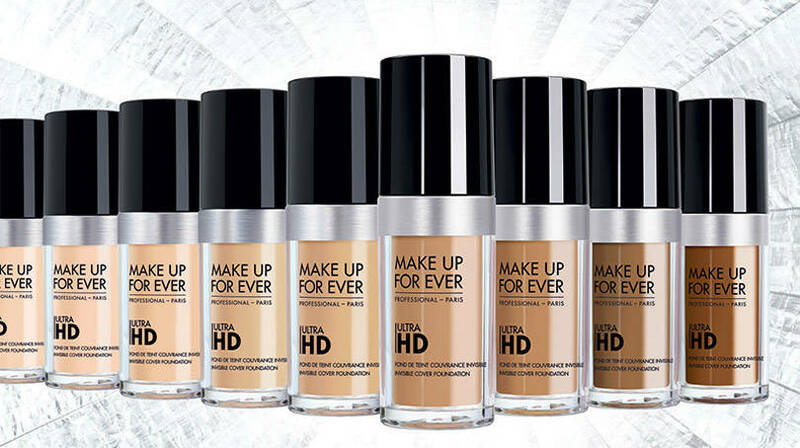 Some of you may know this, but this specific 'Ultra HD' formula is the replacement to the original 'HD' foundation from MUFE that took the make-up world by storm. So this version was just upgraded to cope with the 4K HD lens that could now detect every detail on the skin when it was in the spotlight. The formulation really is like no other product I have used as it does manage to conceal any redness or uneven skin tone with one super-light layer. The first night I actually used this product I said to my boyfriend that I needed to return to buy another bottle immediately (which I didn't end up doing, I now regret this). I think I paid 40 Euro's for this at Sephora which makes it around R615. I know it is available at Metropolitan Cosmetics in JHB or online with them but it's R895 which I think it a total joke, better to find a mule in my opinion. Next on my list is their new stick foundation!